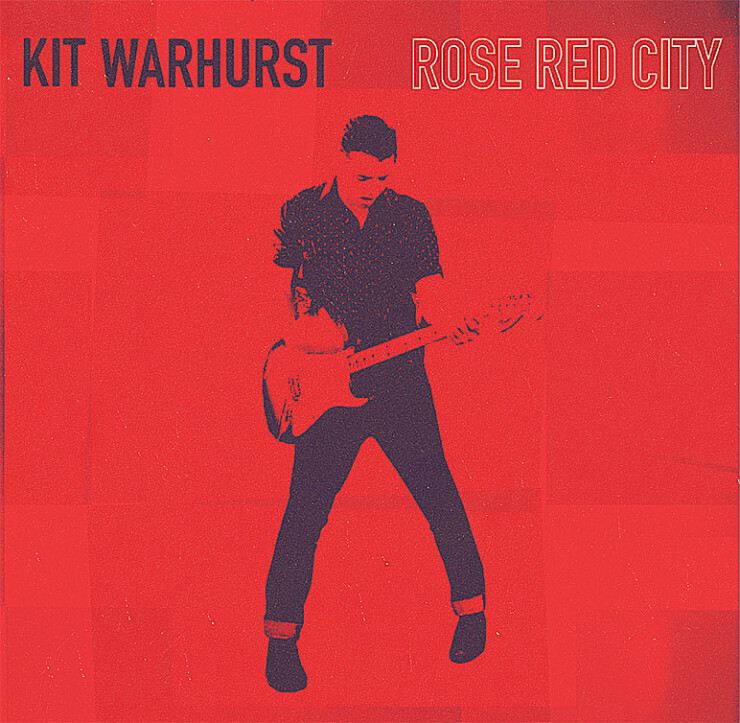 Here it is, the launch of the second single ‘Rose Red City’ from the upcoming debut Kit Warhurst album. First single ‘Nothing In Melbourne’ recieved fantastic local radio support from Triple R and PBS as well as further afield on Double J. This new song continues to reveal the Kit Warhurst sound. Joining Kit onstage again are the most excellent Brooke Penrose (Saint Jude) on the tubs and Alex Gray (Wilding) on bass. Following the breakout success of his debut solo single Nothing In Melbourne, which gained extensive airplay on Triple R, PBS and Double J, Kit Warhurst, best known as the drummer in seminal Australian group Rocket Science, is set to launch his second single, Rose Red City. Produced again by Kit and mixed by Jeremy Glover (Julian Casablancas & The Voidz, Crystal Castles, Liars, The Devastations) in Berlin, this song showcases Kit’s knack for an irresistible melody and a power pop chorus, this time inspired by the work of New Zealand born Australian artist Rosalie Gascoigne – Rose Red City #07. The filmclip is also inspired by Gascoigne with filmmakers Andrew McKenzie (singer from Melbourne band Legends of Motorsport) and Linda Maiden mirroring her technique by layering the objects of every day city life — suburban brick walls, concrete footpaths, corrugated iron fences – into a visually dynamic, pop art form. Kit launches Rose Red City on Friday the 18th of March at The Workers Club in Fitzroy with his band featuring Brooke Penrose (Saint Jude) on the tubs and Alex Gray (Wilding) on bass, with special guests, Maps Of Tasmania and Plague Doctor. Rose Red City will also be available as a split 7 inch with Kit’s first single, Nothing In Melbourne.